Guest Bio: Emma Glassenbury is an accredited practicing dietitian. 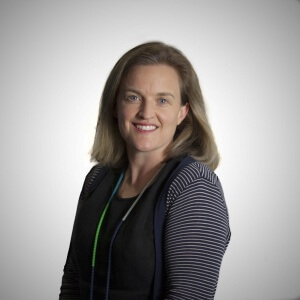 Emma graduated from the University of Melbourne with a science degree in 1995, and completed a Masters of Dietetics from Deakin University in 1997. Since that time she has had a varied career from clinical dietetics to industry in Australia and the United Kingdom. Her clinical dietetics experience has been extensive, ranging from rural settings to working as an ICU specialist, to developing an ICU nurse led enteral fed algorithm for University College London Hospital NHS. Her industry experience has included both regulation, policy and marketing, including a role as a Nutrition Manager with Unilever UK (FMCG), responsible for the health professional communication strategy and stakeholder engagement. Segment overview: Emma Glassenbury is currently responsible for Dairy Australia’s health professional communications program. Within this role she engages with health professionals working in the media and peak health organisations to translate the latest evidence relating to nutrition dairy science in order to keep dietitians, dentists and GPs up to date. Emma is focused on taking a collaborative approach to share evidence-based nutritional science with health professionals to help them deliver simple nutrition information to their patients to improve population nutrition. According to research Australians consume too much discretionary food and not enough foods from the five food groups for a healthy diet. Foods That Do Good was established to help address this issue by providing health professionals with easy-to-access, holistic and evidence-based nutrition information that will help Australians understand how to work towards better health through a balanced diet. Wayne Bucklar: You’re listening to Health Professional Radio and thank you for joining us today. My name is Wayne Bucklar and my guest today is Emma Glassenbury. Emma’s the accredited practicing Dietician at Dairy Australia and she’s here to talk to us about an initiative to Dairy Australia’s undertaking currently. Emma, welcome to Health Professional Radio. Emma Glassenbury: Thank you. Thank you for having me. W: Now Emma, why has Dairy Australia taken on the challenge of informing health professionals about nutrition? E: So Dairy Australia has always had a credible health professional program, the reason being health professionals are really important influential group to get the right nutrition messages to patients. So patients view health professionals are trusted and credible sources of nutrition information and with Australia’s diet being out of balance with over a 3rd of the energy intake coming from junk foods such as cakes, biscuits, chips, soft drinks, alcohol and really not enough Australians getting enough of foods from the five food groups. So we know that 96% of Australians are not getting enough vegetables and 90% of Australians are not having enough milk, cheese and yogurt each day. So what we have to set up is a health professional program called Foods That Do Good to help health professionals get the right nutrition information to help consumers get the right evidence based nutrition information. So what we have found from health professional groups is that nutrition is a core component of their consultations and in fact in GP consultations about 30% of them have a nutrition component or element giving some form of dietary advice. There are only 63% of GPs are aware of the Australian Dietary Guidelines so by having this website and health professional program called foodsthatdogood.com.au, it’s giving health professionals such as GPs, a source of information to get the right information to consumers. W: Now Emma, which health professionals are you targeting and why? E: So the health professional program predominantly targets GPs, centers and Dietitians. As the reason being is we found that these health professional groups really provide quite a bit of nutrition education to their patients. However the information and material from the website that was developed that can really be used by anyone advising patients on nutrition. So for someone working in aged care for instance, I mean they can still access the website and on the website a nutrition calculator which would give the referred recommendations for elderly over the age of 71. So there’s really something for everyone there. W: Now apart from talking to us and on the media outlets Emma, how are you getting the information about nutrition out to health professionals? E: Yes, so Dairy Australia is trying to collaborate with other health organizations and nutritionists working in media and social media to try and promote the Foods That Do Good program. So as many health professional groups are aware of the program and the new website, foodsthatdogood.com.au and what we hope people would do, we won’t say that in their favorite and act as a resource for them, the information because what we’re doing is keeping the website up to date with the latest evidence and regular blog post as well. W: Now Emma there are lots of websites that offer dietary advice. What makes Foods That Do Good different to other websites? E: So what makes the Foods That Do Good website quite unique is that it provides nutrition information and resources for all five food groups. So it doesn’t talk to one food group alone. So it has evidence statements and recommendations for vegetables, fruit, milk, cheese and yogurt, grains and whole meal foods, legumes and meat and chicken, fish. So finding information about all the five food groups, the website contains practical downloadable patient education fact sheets, a nutrition calculator based on Australian Dietary Guidelines. So it’s trying to provide lots of information in a simple on the spot resource that’s easy to understand and tailor specifically for patients based on age and gender and also diseases that clinicians or health professionals would say. W: You’re listening to Health Professional Radio, my name is Wayne Bucklar and my guest today is Emma Glassenbury. Emma’s an accredited practicing Dietitian with Dairy Australia and we’re been talking about a new website, www.foodsthatdogood.com.au. Emma, what would you like to see as the outcome of the Foods That Do Good website? E: Yes, so we know that patients are overwhelmed and confused by conflicting nutrition information out there and so what we’re trying to do is give health professionals the right information so that they can help cut through these information and get back to the recommendation around food and nutrition based on the Australian Dietary Guidelines. So we would like to see health professionals use the website, to use its up to date information for their patients and get information about good nutrition to patients because we know that this can therefore help reduce common and serious health conditions like heart disease, stroke, hypertension and type 2 Diabetes. So we know that prevention is better than cure when we’re trying to give nutrition and diet information. W: Now Emma, I noticed in the information that I’ve been sent that the website is curated by Dairy Australia with input from health professionals and the various peak body parties representing the other four food groups. So this is a credible resource for clinicians. E: Yeah, absolutely. So while the website has been produced and curated like by Dairy Australia as you mentioned, we’ve also asked other industry bodies to provide us with links to their resources and their fact sheets with also reference the Australian Dietary Guidelines with the evidence statements for all the five food groups. So really we’ve used the scientific evidence as the foundation for the program but with link with other industry bodies as well. So people can get other resources, fact sheets and recipes in relation to other foods not just dairy food. W: Emma, it’s been good chatting with you today and I do appreciate your time. Thanks for joining us on Health Professional Radio. E: Thank you for having me. W: Let me just give you those websites again if you’ve missed them on our way through, Emma was from Dairy Australia and their website is www.dairyaustralia.com.au but the Foods That Do Good website is www.foodsthatdogood.com.au all one word. 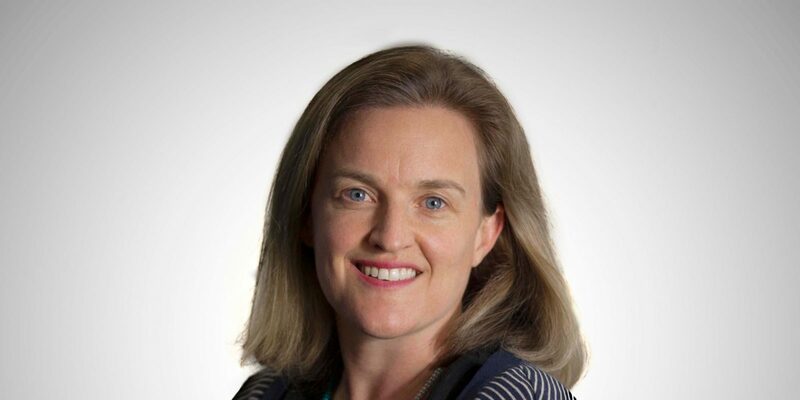 If you missed my chat today with Emma Glassenbury, practicing Dietitian at Dairy Australia, the good news is we have a transcript on our website. We also have a sound archive both on YouTube and the SoundCloud and you can access all of those resources through the Health Professional Radio website, www.hpr.fm. My name is Wayne Bucklar, thank you for joining us today.